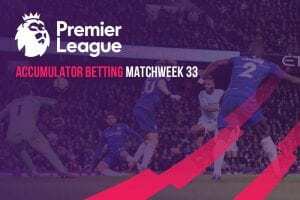 THE 2015-16 English Premier League campaign kicks off this Saturday with a cracking lunchtime fixture between last season’s fourth- and fifth-placed sides. Can Man United pick up where they left off in 2014-15 as they dream of a new golden era under Louis van Gaal? Or will Tottenham buck the odds and announce themselves as genuine contenders for the top four? The bookies favour the former, with EPL betting site WilliamHill.com paying $1.61 best odds on the Red Devils to start their season with a routine home win. And it’s hard to argue with that price, given the stellar work the United board has done in the summer transfer window so far. Some familiar names have departed Old Trafford, including Tom Cleverley (Everton), Rafael (Olympique Lyonnais), Robin van Persie and Nani (both Fenerbahce). Argentina midfielder Angel di Maria is also on the cusp of a move to Paris Saint-Germain, just a year after his British-record £59.7 million transfer from Real Madrid. But the list of incoming players has United fans grinning from ear to ear, with top targets Memphis Depay, Bastian Schweinsteiger, Morgan Schneiderlin and Matteo Darmian all signed, sealed and delivered with minimal fuss. They’ve also thickened their goalkeeping stocks with the pickup of Sergio Romero – a veteran of 62 caps for Argentina – on a free transfer. Whether Romero starts on the field or on the bench this weekend will depend on the incumbent number one, David de Gea, who is said to be angling for a transfer to Real Madrid. Former star defender Rio Ferdinand is also concerned about how the rest of the United back line will shape up. “I don’t think [Van Gaal] knows his best defence – that’s a problem in itself,” he said at a BT Sport event this week. “Part of the reason he doesn’t know it is because he hasn’t had a chance to watch them all play over a long time – consistently for 12 or 15 games. If you don’t get that familiarity between you as defenders, it’s difficult to build foundations. “I played with [Nemanja] Vidic for six years with no fitness problems between us. I woke up on a Saturday knowing that ‘Vida’ was going to be fit and he was the same with me. “At the moment these guys aren’t doing that. They don’t know if Chris Smalling is going to be fit, if Phil Jones, Jonny Evans or Marcos Rojo are going to be fit. While United’s evolving defence and their star signings try to impress the home crowd on Saturday, Spurs ($5.75 to win at Luxbet.com) will be looking to silence the naysayers who claim they’ll be nowhere Champions League contention this season. 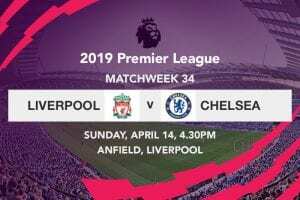 It was almost by default that the Londoners finished fifth in EPL 2014-15, with two wins in their last two games proving enough as Liverpool and Southampton imploded towards the end of the campaign. But Spurs wallowed in mid-table for the majority of what was a very underwhelming campaign, and manager Mauricio Pochettino has wasted little time cleansing his squad of hangers-on over the summer. Etienne Capoue, Lewis Holtby, Benjamin Stambouli and Paulinho are all gone after struggling to make any discernible impact on the Tottenham midfield, along with defenders Younes Kaboul and Vlad Chiriches. Improving the back line has been a priority, with Toby Alderweireld, Kevin Wimmer and Kieran Trippier coming in to sure up a defence that shipped 53 goals last season – more than any other team in the top 13 places. With Emmanuel Adebayor heading out on loan and Spanish flop Roberto Soldado looking for a move home, Pochettino will also want to add some strike support for Spurs vice captain Harry Kane. The young Englishman starred with 21 Premier League goals last term, but there are some concerns about his fitness levels and sharpness ahead of the season-opening trip to Manchester. However, Pochettino expressed complete faith in his star striker when he spoke to the press following Spurs’ 2-0 friendly defeat to Real Madrid on Tuesday. “It is true we have Harry and maybe we need to bring another striker in,” the Argentine coach said. “But I am not worried about Harry. He came back after the Euros [2014 European Under-21 Championships] late in his preparations but I am not worried. Spurs fans will also be buoyed by the news that captain Hugo Lloris is a chance to start at the Theatre of Dreams. The French goalkeeper has missed much of the preseason with a fractured wrist, but recent talk out of White Hart Lane suggests he could well be ready for round one. Manchester United – There are one or two injury concerns at the back for MU, which could see Dutch utility Daley Blind slot into the centre of defence. Otherwise, expect competitive debuts for the likes of Schweinsteiger, Schneiderlin and Darmian. It will also be interesting to see how the likes of Memphis, Wayne Rooney, Ashley Young and Juan Mata line up in the forward third. Possible XI: De Gea; Shaw, Blind, Jones, Darmian; Schweinsteiger, Schneiderlin; Mata, Depay, Young; Rooney. Tottenham Hotspur – Alderweireld and Jan Vertonghen will pair up for the first time in the heart of the Spurs defence, while their fellow Belgian internationals Mousa Dembele and Nacer Chadli should at least feature in the matchday squad. Kane will lead the line, with Christian Eriksen in behind, while Dutch ‘keeper Michel Vorm is on standby as Lloris awaits the medicos’ verdict. Possible XI: Lloris; Rose, Vertonghen, Alderweireld, Walker; Bentaleb, Mason; Chadli, Eriksen, Lamela; Kane. The Red Devils haven’t started especially well in their last few English Premier League tilts, but they are all set-up for a solid win on matchday one this time around. Their new signings look in fine fettle, with Schneiderlin and Darmian earning rave reviews during preseason, while Rooney should be rejuvenated by a return to his favoured striking role. Tottenham, on the flip side, look like they will rely heavily on Kane and Eriksen to trouble the United defence, as was the case all last season. We think the home side cruise to the three points here, without necessarily blowing the Lilywhites out of the water. A couple of goals and a clean sheet seems about right. How often do we see new signings score on their EPL debut? Memphis found the back of the net 28 times for PSV Eindhoven last term, and he will be eager to make an instant impact for his new club here. He’s also paying $2.50 odds at Bet365 to score anytime. England’s star forward was the victim of his own versatility throughout the 2014-15 Premier League season, often deployed finding himself in midfield as Van Gaal tried to make room for Di Maria, Van Persie, et al. Those guys are gone now, which will give Rooney more opportunity to do what he does best: stalk the last line and smash in goals. If Spurs are going to shake United’s tree on Saturday, you can bet their talismanic striker will feature prominently. Kane finished second in the 2014-15 EPL Golden Boot race (behind Manchester City’s Sergio Aguero) and has allegedly courted strong interest from MUFC, which shows how highly Van Gaal and company rate his presence in front of the sticks. The Danish playmaker stood out in a rather indifferent Tottenham midfield last season, finishing third in the club goalscoring with 10 strikes. Eriksen has displayed a particular gift for bagging last-ditch winners and equalisers during his time at the Lane, so you might want to consider chucking a few coins on him to score last ($13 at Bet365.com) rather than first.